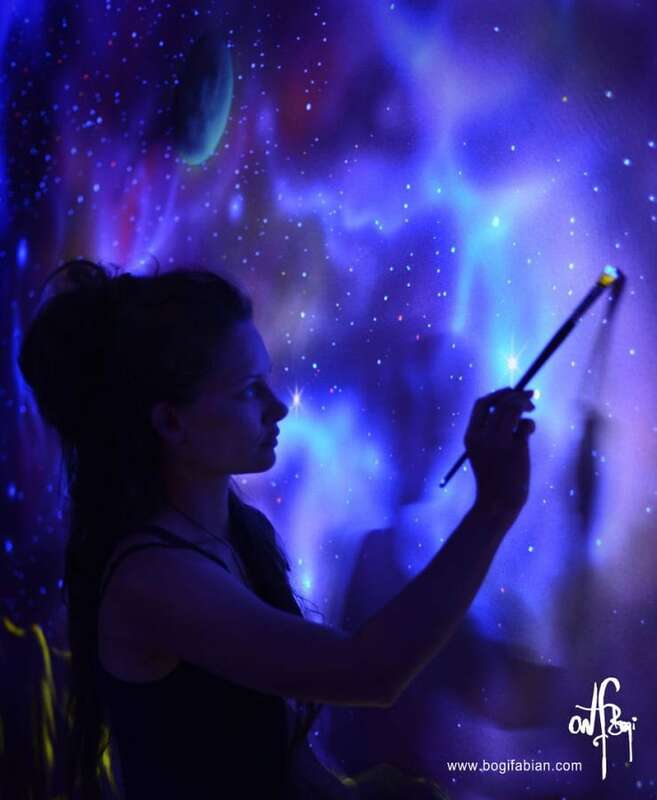 European artist Bogi Fabian is turning ordinary rooms into a dreamy wonderland filled with dazzling and glowing wall murals. 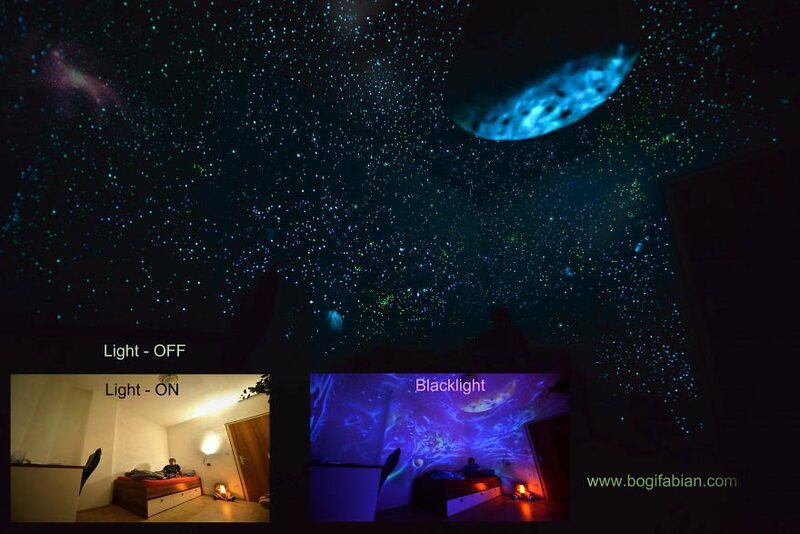 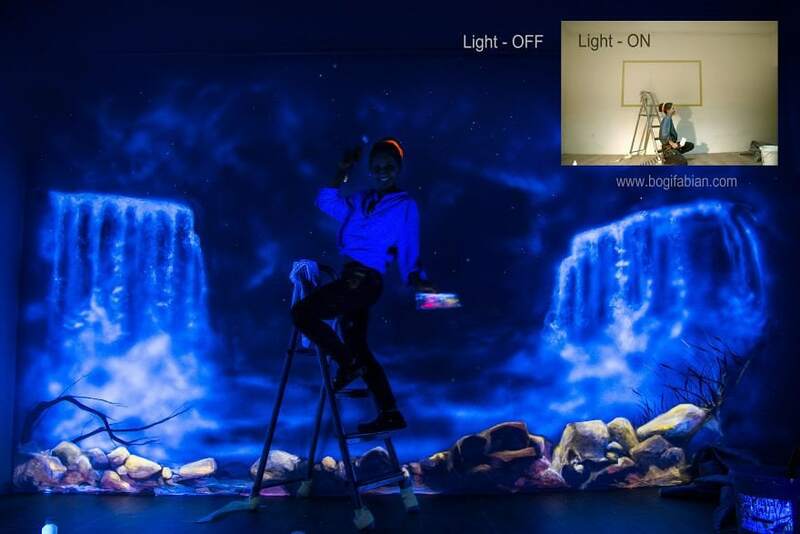 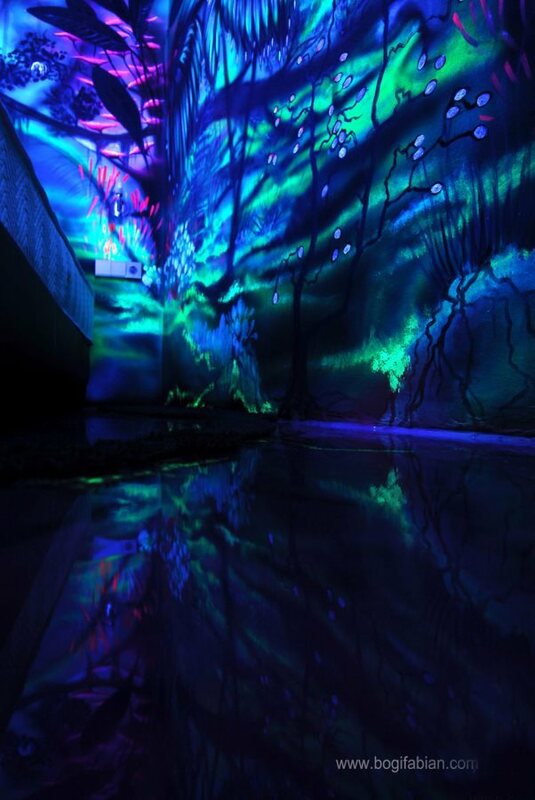 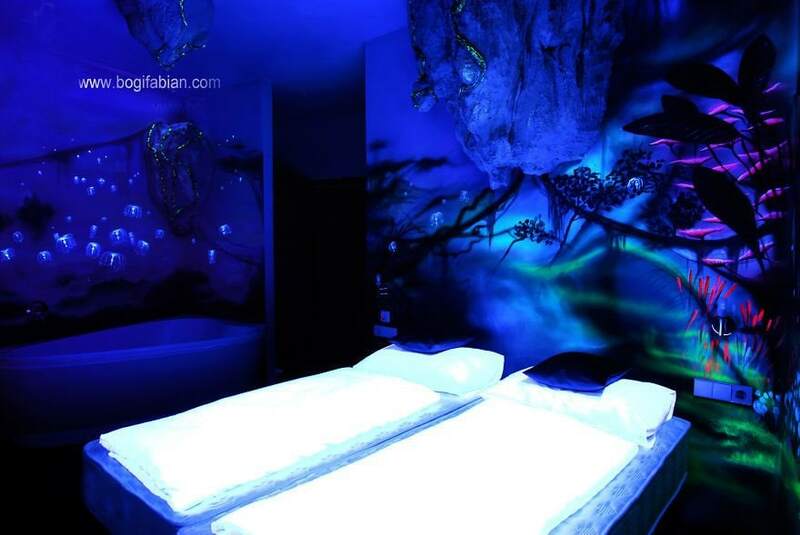 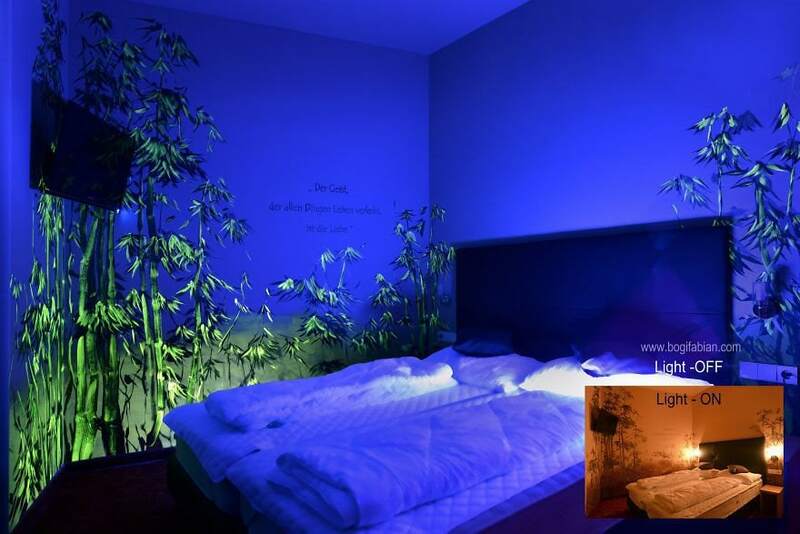 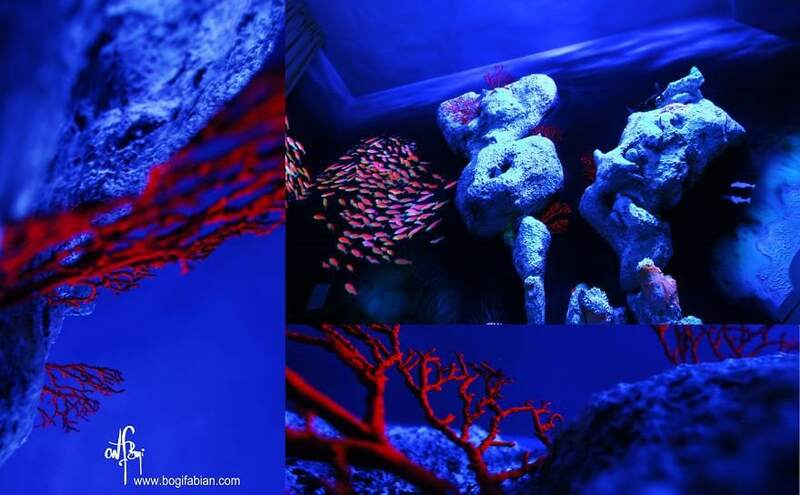 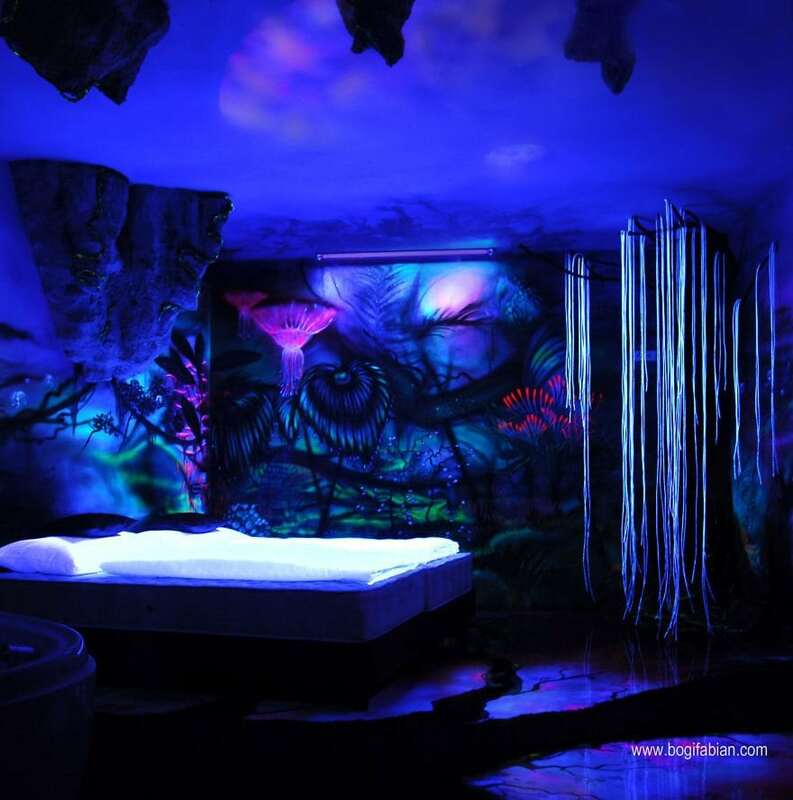 Her wall murals focus on creating a dream world achieved by painting floors and walls with glow-in-the-dark paint. 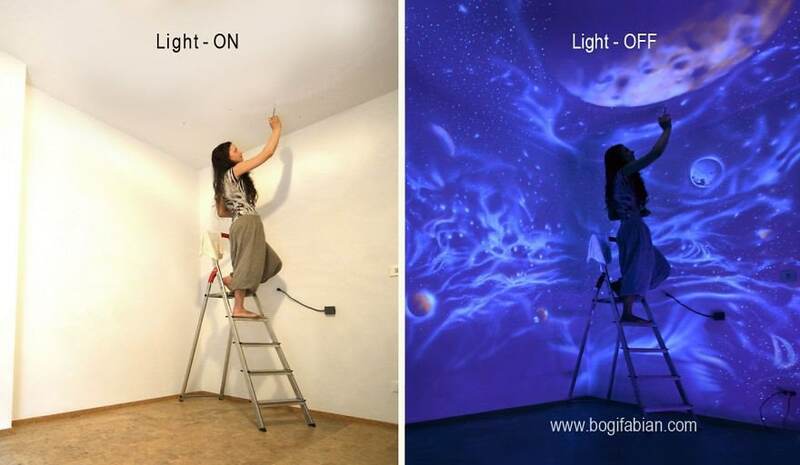 They may look like ordinary white washed walls, but the real magic appears when the lights go down. 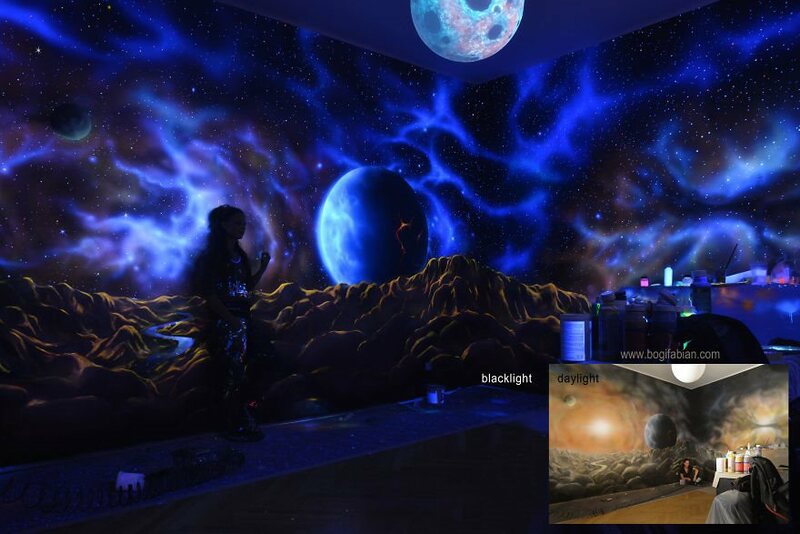 Check out her incredible murals below! 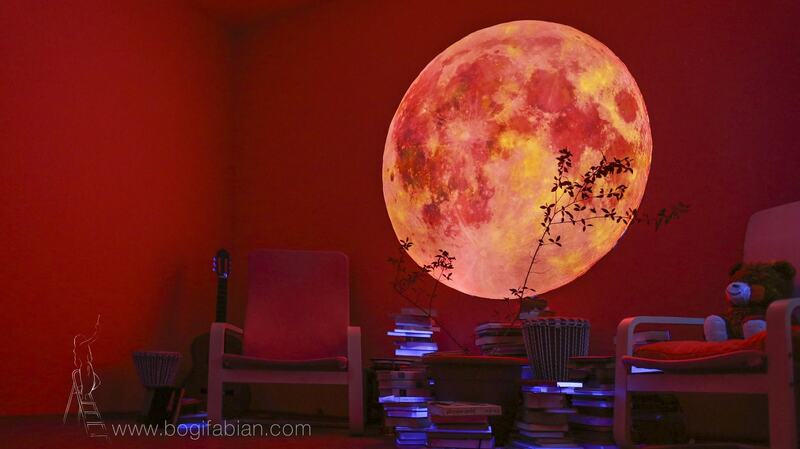 You can check out more of Fabian’s here if you’re interested! 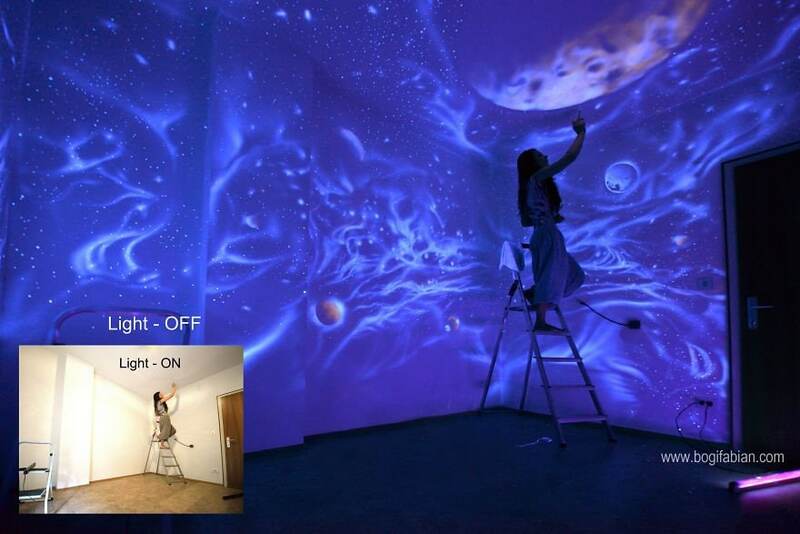 You can also check out these other amazing wall murals as well.